A Swedish drama about a commune in Stockholm, Together, won the top prize at the Taos Talking Picture Festival -- that's the Taos Land Grant Award, which comes with five acres of land outside of Taos, New Mexico. Lukas Moodysson's Together bested James Fortier's humanizing documentary Alcatraz is Not an Island, about the 1969 Native American civil rights takeover of Alcatraz, as well as four other films that were in the running for the juried prize. Meanwhile, Randy Redroad's popular Native American drama The Doe Boy -- which some hailed as the best Indian-themed movie since Smoke Signals -- was tapped as a finalist in the Perrier "Bubbling Under" Award competition, in which five first-time filmmakers with films at different film festivals vie for a $50,000 grant. Undaunted by a late-spring snowstorm that buffeted drivers winding their way along the Rio Grande River to reach this remote Rocky Mountain hamlet, about 9,000 film enthusiasts streamed into Taos for the seventh Taos Talking Picture Festival, April 5-8, 2001. 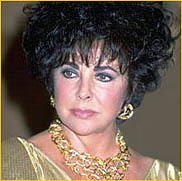 Many were drawn by Elizabeth Taylor's appearance to accept the festival's Maverick Award; the actress arrived late with an entourage including her dog, Sugar, and swept into the screening of her 1966 drama Who's Afraid of Virginia Woolf. She told the audience, "The press used to call us the Battling Burtons. That wasn't true. We just liked to banter a bit." Actor Keith Carradine drew a crowd, too, to discuss his impressive performance in the provocative Cahoots, an intense buddy picture about two middle-aged male pals that has Neil LaBute-ian overtones. It's seeking distribution. Although there were few acquisitions folks in town, the sell-out crowds were enthusiastic, generating good buzz on the documentary Startup.com, produced by the legendary D.A. Pennebaker; the girls buddy picture Zoe; and the Middle Eastern themed Promises, which had its U.S. premiere here after winning the audience award at Rotterdam. In all, 152 films and videos from 25 countries were shown, including 16 world or U.S. premieres; they were chosen from 1,600 submissions. The festival is best known for its unusual Land Grant Award, which bestows five acres of rugged New Mexico land in a burgeoning filmmakers' colony upon the winning filmmaker. Reflected director David Riker, who won the prize in 1999 for La Ciudad, "It's the only award you don't take with you. It's an award that asks you to come back. I've been to many festivals around the world, but I can tell you I've never gone back to any of them. I've come back here six times." Riker was on the jury for this year's Land Grant Award.